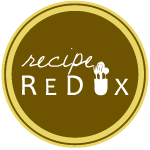 This month’s Recipe ReDux theme was to get in the spirit and share a healthy way to cook, bake or mix-it-up with spirits, extracts or other alcohols. Summer’s cool, creamy and fruity desserts are a fun place to stir in this little surprise! This tiramisu-inspired recipe features vanilla wafers that absorb the rum and spice flavor and soften under the creamy Greek yogurt. Topped with fruit, you can make this your own by adding your fruit favorites or a seasonal variety. For a rum-free or kid-friendly option, omit the rum, use vanilla yogurt and stir in your favorite spices into the yogurt. In each cup, layer 2 wafers, 1 tsp. spiced rum, ¼ cup Greek yogurt and ⅓ cup fruit and berries. Cover and refrigerate overnight. Drizzle with honey before serving, if desired. Serve cold and spoon responsibly. Check out more spirited recipes below!